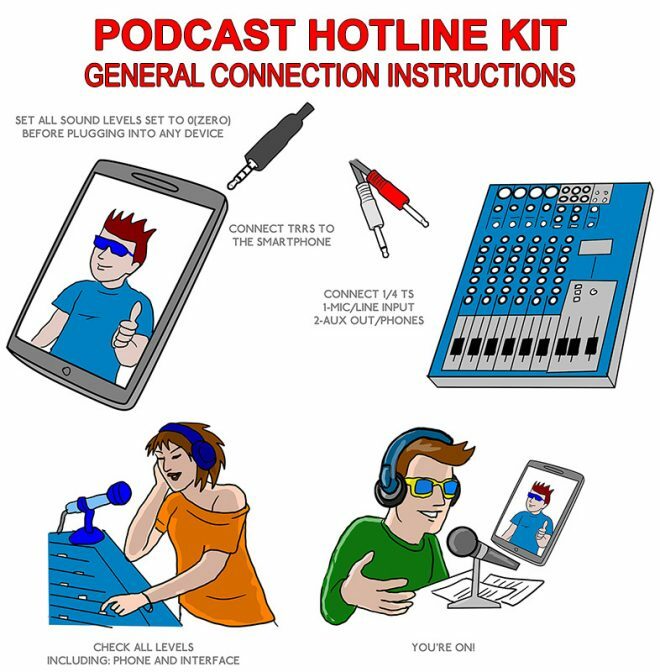 The Podcast Hotline Kit is the All-In-One phone recording solution for virtually any home and pro recording setup. It provides a Teleconference experience between people in studio and on the phone using typical dialing or voice apps. Callers can be plugged into their own channel for best phone recording control, and post-mixing advantages. The kit is an ideal size of 1.5m (4.92 ft), with a 3.5mm (1/8 in) headset jack to a split 6.35mm (1/4 in) is an all in one super solution for broadcasting, podcasting, recording studios, journalists, radio producers, home studios. Whether you are an amateur podcaster or a veteran in the field, you will be definitely amazed by its potential.